I know I was trying to blog everyday in August, and sadly I failed. Yesterday, I was in absolute agony. I have honestly never felt a pain like it, I had a show in the morning (discharge that's a pinkish colour). I was booked in to see my consultant later that day so I didn't really think there was much point ringing the midwife to tell her, I would wait. when I got to see the consultant, I told her about the show, and the pain I was having. I previously got taken into hospital (back in July) because I was in 'pre-mature' labour. That started with what I thought was a stitch, which got more intense over night, and turned out to be premature labour. The consultant examined tummy, she said it was quite tender and hard, she was also concerned about Baby E's movements. She also said that Baby E's head was down, and I was suffering from SPD (symphsis pubis dysfunction) which was why I was having a lot of pain in my pelvic area, but she was unsure as to why I had pain in the top of my tummy. So she sent me over to the day unit, to have a CTG, (monitors the baby's movement, heartbeat and uterine contractions). Everything was normal, Which obviously is a really good thing, but I had to go back the next day for another CTG, and a Growth scan. I was also told I would see my consultant, who assured me we would try and find something to help with the pain I was feeling! I barely slept all night, The pain will not subside, which makes it practically impossible to get comfortable in any position. I went back to the hospital, Had my CTG, Again everything was fine - as I knew it would be, Then I had a growth scan, It turned out I was actually having the growth scan to check the fluid around the baby as well as making sure everything was ok. Everything was ok, but during the ultrasound I actually started to cry, Just the pressure of the ultrasound hurt my stomach so much. I was expecting to see the consultant after the scan, but I was then told she was 'busy' and they never actually booked a appointment for me to see her. Typical. They still needed to have someone look at the results of the growth scan, So I was sent back up to day unit where I waited for about a hour and half to see someone. I get that people are busy, but sitting there with no clue what the results are, not knowing if your baby is ok, and in pain for a hour and a half is ridiculous. Especially when nobody tells you what is going on. After waiting and waiting a registrar came to see me, baring in mind I was sitting in a corridor, she thought it was appropriate to have the conversation there rather then move to somewhere more private? I'm not going to lie, it actually pissed me off a little, what if the news wasn't good? I wouldn't have wanted everyone else to hear that from someone other then me. I should at least have that choice, maybe I'm just taking it to heart, and over thinking it a little. The registrar was so mean, I have never had someone speak to me the way she did. She said "I've looked at the results of the growth scan, the baby is fine so were going to send you home" and started to walk away - that was it, After sitting there for a hour and half, that was all I was going to get. So I said excuse me, what about the pain? she turned around to look at me, and was rolling her eyes. I couldn't actually believe it. Her reply was "The baby is fine that is the important thing, What about the pain?". I told her how the consultant was concerned about the pain I was having in my tummy. After all that is why I originally got taken into hospital (in July). She then proceed to tell me that I should just take pain killers and go home. As you may know if your a regular reader, I suffer with anxiety and depression. This is something that I have really struggled with during the pregnancy. I used to take pain killers, like paracetamol to dull the pain I was feeling inside, If i felt down I would take a tablet. In my head this was normal - It took me a long time to actually admit to the people I loved I was doing it, and it also got a lot worse before it got better, Because I took pain relief so regular, It now doesn't have a effect on me at all. It doesn't make my pain go away, so there really is no point in taking it. The registrar would know all of this if she cared to read my notes, which she didn't. After explaining this to her, which wasn't easy because she was so rude and off with me, she then said "I can prescribe you stronger pain killers". She really didn't get it. I have overdosed twice in the past - something that is very difficult for me to admit to, and it was a really dark place in my life. Both times I overdosed resulted in me being in hospital, and it wasn't a nice situation. If she read my notes, she would know that my GP, and the other doctors who treated me, and the medical team who supported me during the rough time in my life said I'm not aloud to be prescribed strong painkillers. I had already made her aware of this fact, and felt like I was being judged. I had already had enough and decided that the best thing was for me to leave. So now I'm home, with no idea of how I am going to make the pain subside, or make it better. I'm just going to try and cope, Joys of trying to stay positive and upbeat when your pregnant and not medicated. The whole day has left me feeling more upset, and depressed than I felt this morning, and I just needed to vent. Oh hun Im so sorry you've had to go through this!! It bought tears to my eyes, I really felt for you. 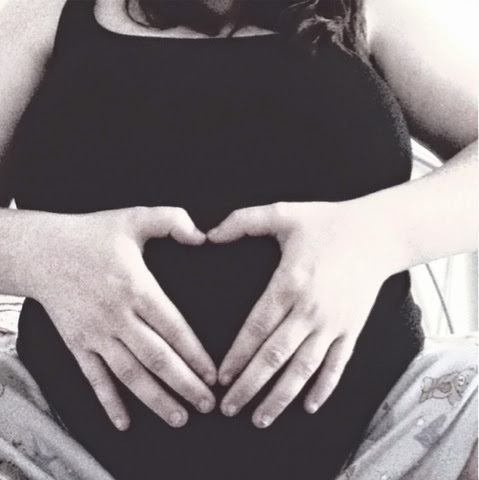 As you know, Im also heavily pregnant, and you may not know but Ive struggled with both depression and anxiety too. So I totally relate. If you ever need to chat, I'm here to vent on!! Take care hun!